To all our wonderful KL umpires the Inaugural KL Umpires Clinic will be held next week. 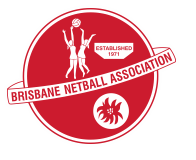 It will be hosted by Eve Sheppard who is a NQ High Performance Umpire Coach and holds a National A badge. The session will be a practical on court session and there will also be a Q&A on rules and rule interpretation. Bring your running shoes and a whistle! To assist with numbers please email Andrew Hickey on athickey@iinet.net.au if you intend to attend. The BNA is also holding a Beginner Umpires Course. You can nominate on the BNA Website (click this link) Umpiring>Courses. All relevant details regarding the course are also on this page. It is important to note that the closing date is 2nd February and the course commences on 7 February.